In this tutorial you are going to learn how to change google voice number to different account which can be useful in preserving your contact phone number when you change your Google Account. 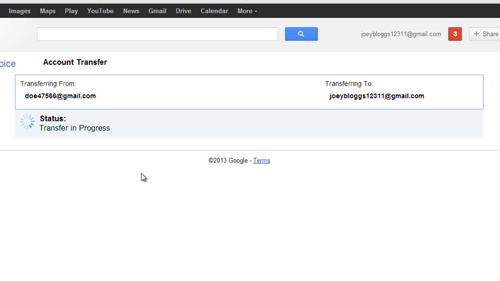 Make sure that you are signed into your Google Account. You will need to navigate to the webpage that will allow you transfer the number, visit “www.google.com/voice/account/transfer”. You will be promoted to log into the second account that you wish to transfer the number to, click “Click here to sign into another account” and on the next page sign into your new Google account. You will now be at the account transfer page. Select the “Source Account” on the left to be the account from which you are moving the number. 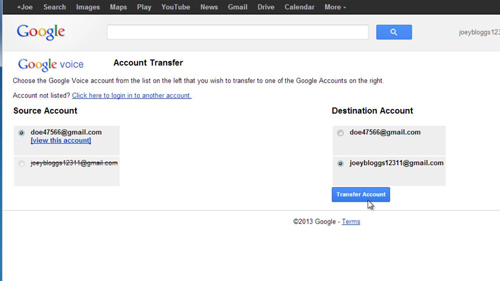 On the right under “Destination Account” select the new account where the number will be moved to. Click the “Transfer Account” button, in the window that appears click “CONFIRM”. A new window will appear and Google will tell you that the transfer is taking place. 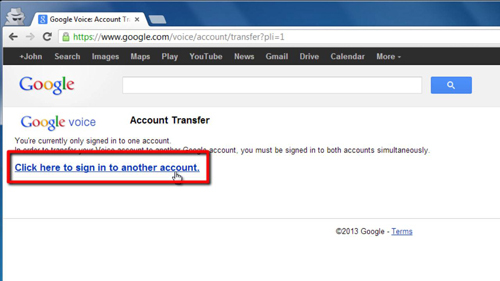 After a few moments it will state “Transfer Complete” and that is how to change google voice number to different account.